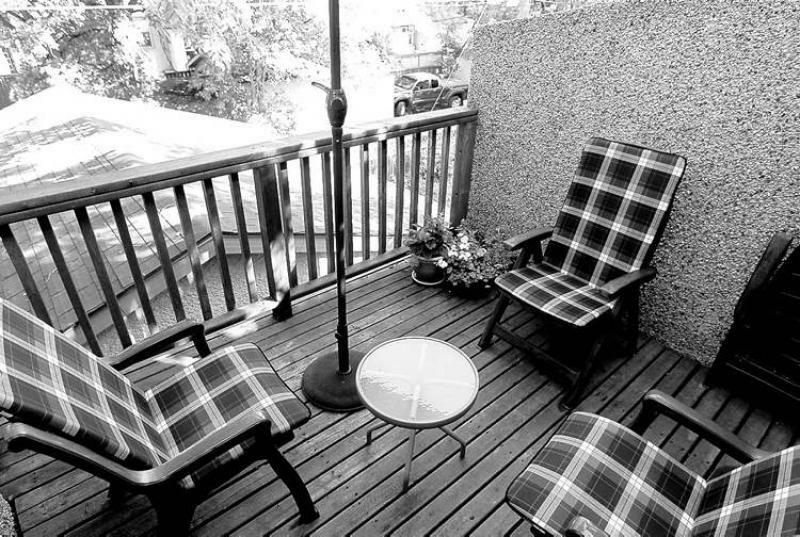 Boris Minkevich/A balcony overlooking the backyard is accessible from the master bedroom. Boris Minkevich/Four windows give the master bedroom the feeling of a treehouse. Boris Minkevich/The office has a built in bookcase and could serve as a computer room. Boris Minkevich/The spacious kitchen is easy to get around and, much like the rest of the house, has lots of natural light. Boris Minkevich/Photos by Boris Minkevich / Winnipeg Free Press Nestled on a quiet street in east Fort Garry, 907 North Dr.ï¿½s smaller appearance belies the fact an addition at the back of the house brings its total area to 2,000 square feet. Drive down any street, and there's always one home that seems to command your attention. One such home is 907 North Dr. in east Fort Garry. 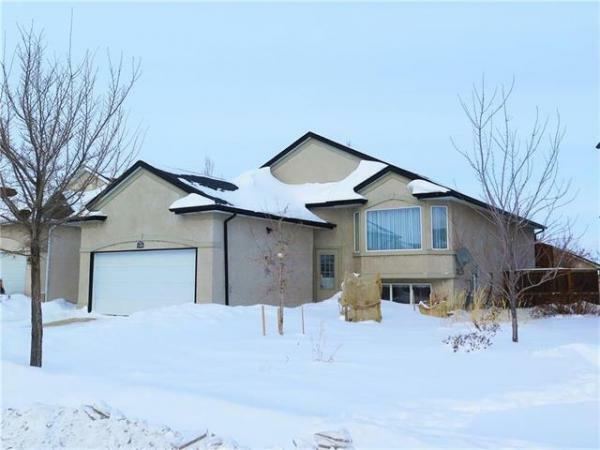 Turn off Pembina Highway, and voila, there it is a short way down on the left-hand side: a brown brick home surrounded by mature trees on a meticulously landscaped lot that offers excellent width and depth at 60 by 106 feet. 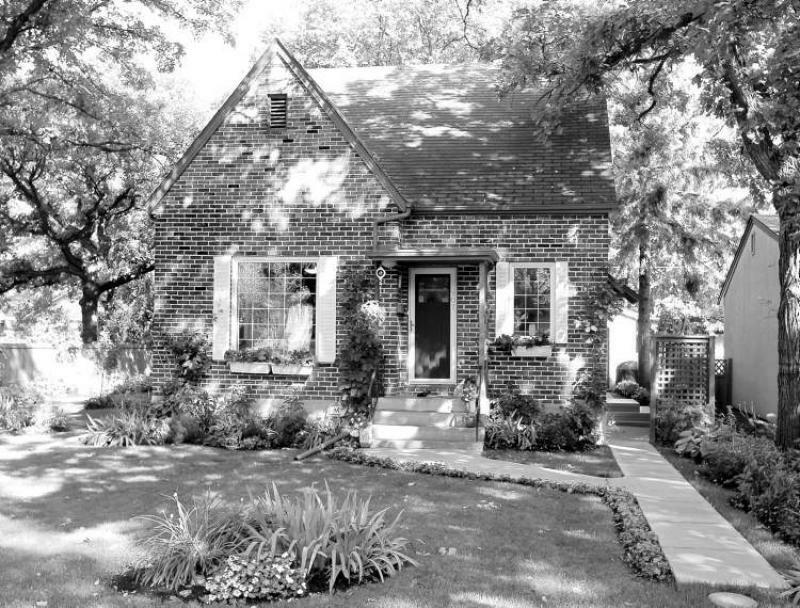 "This is a really neat home that was lovingly built by a talented brick mason in 1945," said RE/MAX Professionals' Jennifer Queen. "It's a home that's bigger than it looks -- total square footage comes to 2,000 square feet, thanks to an addition to the back third of the home." That addition made a huge difference to the home's livability on both levels. Upstairs, there's a 15.75-foot by 12-foot master suite that rivals or surpasses those found in contemporary homes. Downstairs, there's a 23.6-foot by 11-foot family room that adds extra flexibility to the main floor. While the master suite is the second floor's unquestioned gem, it's just one of four bedrooms. "That's a feature that makes this such a great home for a young family -- all three bedrooms are a good size (12 feet by nine feet, 11.8 feet by 9.6 feet and 10 feet by 7.8 feet)," she said. "There's also a four-piece bath in the centre between the kids' bedrooms and the master suite. 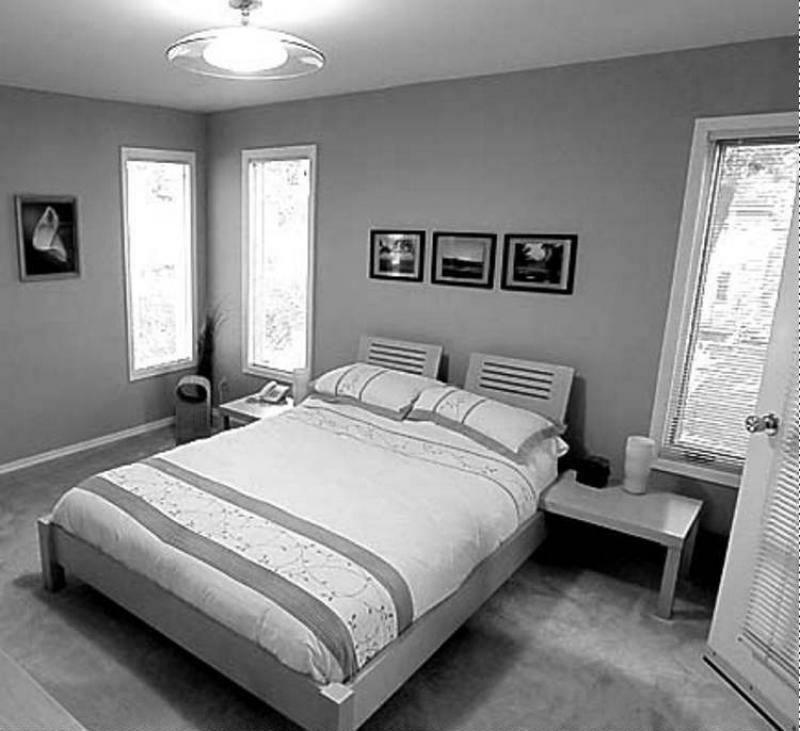 The master suite is at the end of the hall by itself in a nice, private area." As soon as you enter the master, you're enveloped by a feeling of tranquility. Surrounded by four large windows, you feel as if you're in a tree house, as all you see is tree boughs and their leaves. Not only do you feel as if you're suspended in the midst of a forest, but light pours in, amplifying the feeling of serenity. It's a feeling that doesn't end there, added Queen. "The master is a true retreat that also comes with a patio door leading to its own private balcony -- it's great spot to enjoy a cup of coffee and breakfast during the summer. "It also features its own private four-piece bathroom (with soaker tub), as well as a walk-in closet that's hidden neatly behind bi-fold doors. "The other three bedrooms come with beautiful (original) maple floors and large windows that let in all kinds of light, and views of the mature trees that surround the home." Back on the main level, the home's second gem -- the family room -- can be found next to the formal dining room, which is demarcated by more of the well-preserved maple flooring that runs throughout the home on both levels. "A collection of windows in the far corner overlook the beautifully landscaped and fenced back yard, providing a view of the trees and gardens out back," Queen said. "Two large windows on the wall nearest the dining room let in all kinds of light, and also showcase the beautiful surroundings. 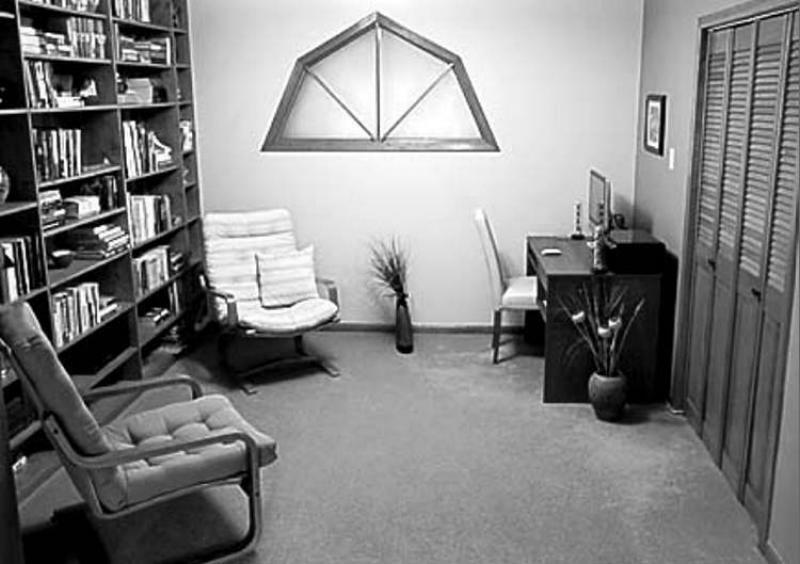 "The front wall is long and is ideal for a media area, and features a semi-octagonal window with frosted glass that adds style and allows additional light from the office on the other side to filter through." There's plenty of space on the other side of the wall in the form of a 21-foot by 13-foot living room that is once again awash in natural light and tree views -- a large, latticed picture window on the room's front wall and another oversized window on the wall opposite the room's entrance see to that. "The moment you walk in the home, you notice two things -- all the light, and the spacious living room/office combination," Queen said. "The living room gives you a space next to the kitchen that's ideal for entertaining, while the office -- which features a wall with built-in book shelves -- could continue to serve as an office, or could be converted into a student computer area or play area." The main floor is then capped off by a 13.25-foot by 11-foot kitchen that features a functional L-shaped design. "Not only is it easy to move around in, but it also has a big window over the sink and another window next to the dinette area for two. Even when you're in the kitchen, you get views of the beautiful surroundings. 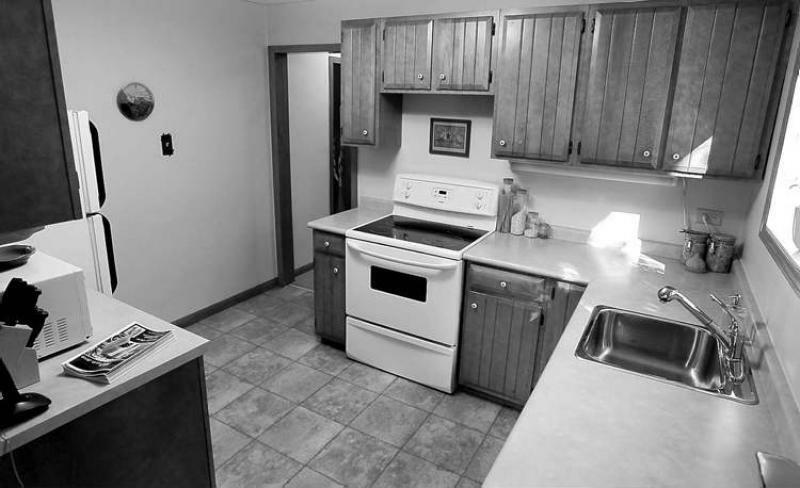 "There's also lots of cabinets for storage and a good amount of counter space. And a newer. flat-top stove, dishwasher and refrigerator are included in the sale of the home, along with a washer and dryer, window coverings and alarm system." Meanwhile, downstairs, more potential awaits. "The basement is undeveloped, ready for a family to make it a space all their own," Queen noted. "You can put in a rec room, fifth bedroom, four-piece bathroom and storage. "This is a family-friendly home on a highly sought-after street that's in move-in condition and in a central location. It's been well-maintained and updated from top to bottom, and is a place some young family will enjoy calling home."